TORONTO – Ontario hunters are up in arms over a plan to shorten the moose season, which they argue goes far beyond what’s necessary to sustain viable populations. 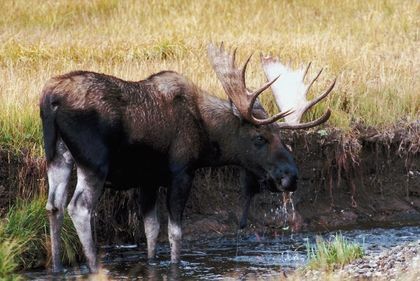 Mark Ryckman, senior wildlife biologist for the Ontario Federation of Anglers and Hunters (OFAH), said proposed changes would impact northern Ontario hunters as well as the thousands of residents from the GTA and southern Ontario who head north to hunt moose. “The moose hunt in Ontario is probably the province’s premier hunt,” Ryckman said Tuesday. The Ministry of Natural Resources (MNR) has posted notice it intends to amend regulations in the Fish and Wildlife Conservation Act, which cover moose hunting in northern Ontario. Recent population surveys reveal a decline in moose populations in many parts of northern Ontario, reflecting a trend seen in other North American jurisdictions, the MNR notice says. The animal plays an important role in the ecosystem and contributes economic and ecological benefits to the people of Ontario, the MNR says.